Mother’s Day will be celebrated this Sunday, May 8. In light of the annual celebration, we’d like to take a moment to recognize the influence of mothers not only at home, but also in the workplace. We’ll take a look at the dual roles women play, recap results from a survey of working moms, and cover some basic statistics around this topic. Currently about 70% of women with children under the age of 18 participate in the workforce in the United States, according to the United States Department of Labor. Additionally, Ancestry.com suggests this is an enormous 800% increase since 1860, when only 7.5% of mothers were in the workforce. The shift in working mom numbers really started happening in the 1940s, and especially the 1960s with the women’s rights movement. Express Employment Professionals recently released a survey revealing the attitudes of working moms. When mothers were asked if they would work even if they didn’t have to, a resounding 62% said “yes.” For some, working isn’t a choice, but rather a necessity. And, as this survey found, this reality has prompted more businesses to offer benefits to working parents. For example, two-thirds of those surveyed said they permit working moms and dads to take advantage of flexible hours. As the number of moms in the workforce continues to rise, working mothers balance work and family every single day, becoming masters of multitasking. Whether it’s running errands, attending meetings, or carting their kids to events all over town, working moms often go nonstop to take care of their families and succeed in their careers. Managing a hectic schedule and making the most of time at home, working moms are an inspiration and example of determination, ambition, and balance for many. 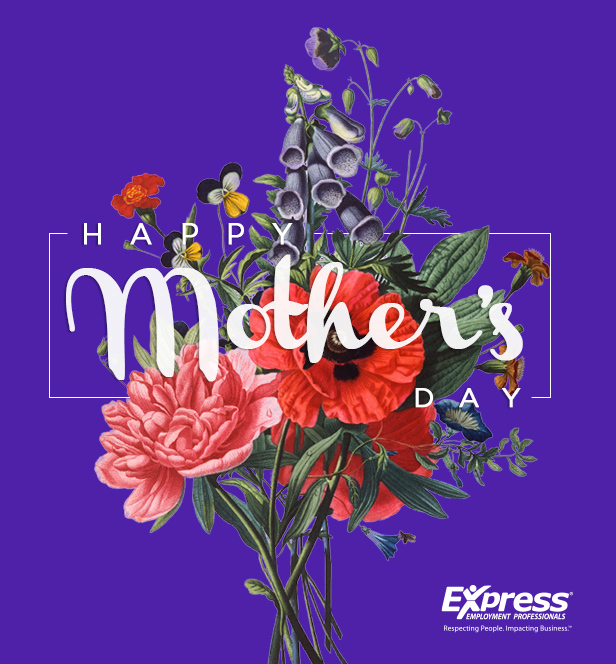 Here at Movin’ On Up, we salute our associates who are working mothers and wish all of them a happy Mother’s Day! Are you a working mother? Do you have tips for other working moms? Let us know in the comments section below!